This quilt is done! And the pattern is too! I'm awash in the great satisfaction of completing a beloved project. 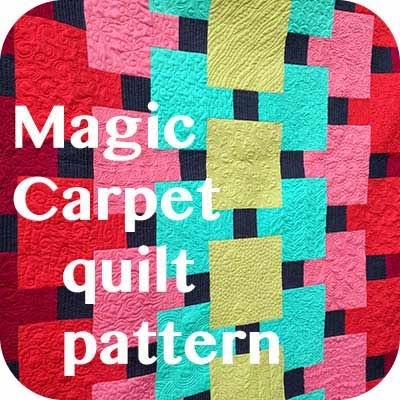 I was really stuck for naming the pattern until my friend Gail suggested Magic Carpet. I think it captures the idea of floating, which is really the very point of the quilt. I am thrilled with it. 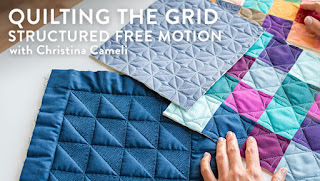 The quilt is 69" x 75" and every square is quilted with a different design from Step-by-Step Free-Motion Quilting. I keep stopping to run my hand over the different textures. I know we'll love it for a long time. If I make this pattern again though I'll definitely be doing an all-over design. I cut and pieced the top in 6 hours but it took almost 3 times that to quilt it! Now I know! I'm also nervous/proud to have the pattern up for sale on Craftsy as of today. That's thanks to a generous group of pattern testers: Karlee, Jasmine, Sarah, Debbie, Beth, Kristyn and Matthew. 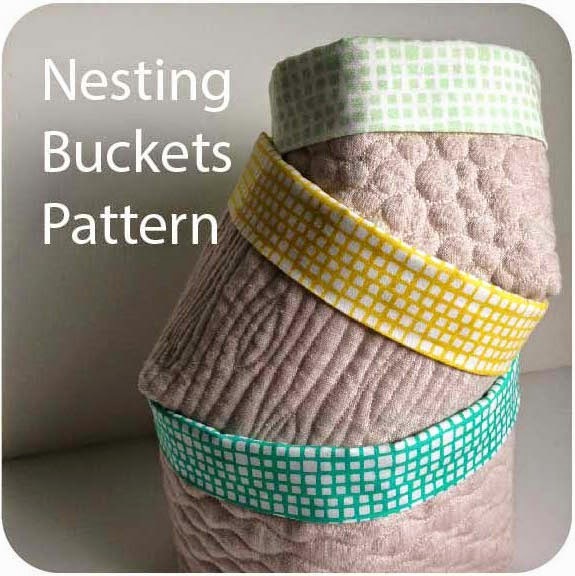 I am so grateful for their thoughtful feedback; they really helped me refine the pattern so it will be a good resource. For instance, Karlee told me that she was struggling with picking fabrics and suggested a blank quilt design to color in. What a great idea! 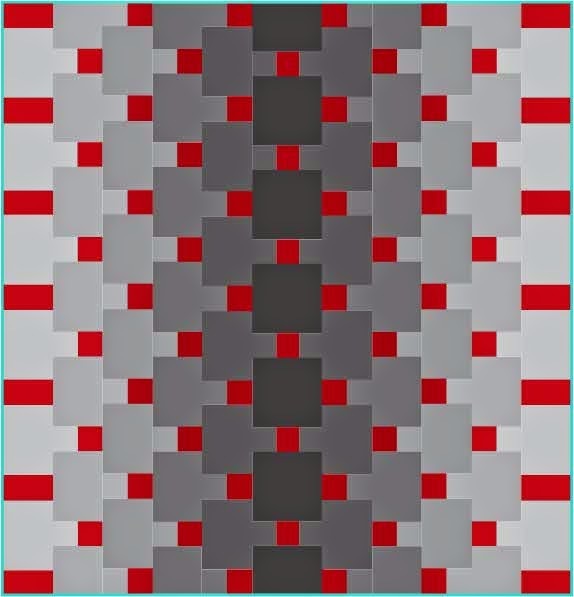 So I added that to the pattern. I also sent my testers some examples of how different color choices might look in the pattern. I love how versatile it is. I'll gather the photos from the pattern testing squad and show you how lovely their quilts turned out later on. For now, it's off to bed for me to recover from Portland's epic sunny weekend! 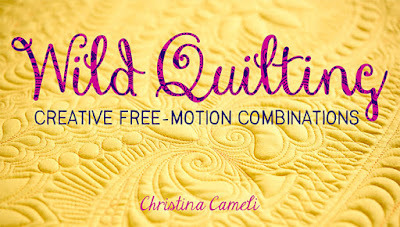 It is really gorgeous, great pattern, but love how you can showcase all your wonderful quilting designs!!! I used one of your designs on a pillow and hope to have it up on my blog in a few hours(with a link to you of course). So beautiful and a great way to show off the designs in your book! Love it! This should be a big hit! 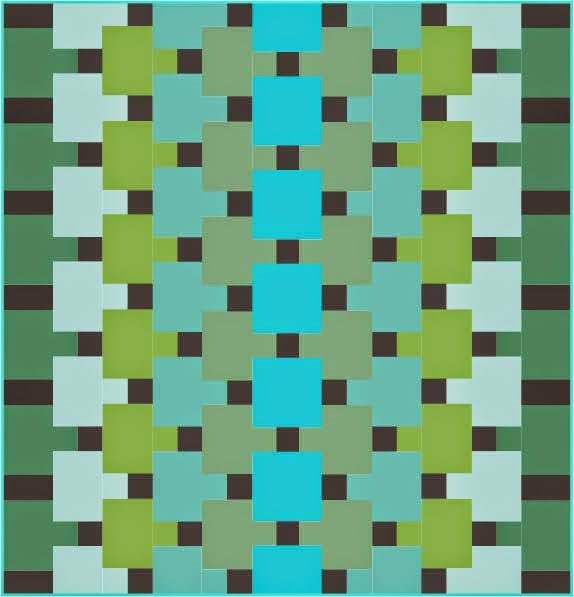 I love the green and blue one - those colors really make the design pull toward the viewer! Sounds like a new project for me . . .
Lovely! I'm finishing up my second single sized quilt with different fmq designs in each block,and it is time consuming. I'm changing thread colour often and deciding what design to put where. It definitely takes a long time! This quilt is very beautiful! The quilting is, of course, amazing! I'd love to see one done up in the grays and red! Beautiful!! Also love the gray and red example, which is unusual for me because I'm a fan of blues/greens. Such a great quilt design... and a cool name to boot ;) Thanks!! Congratulations on having your first pattern for sale. It is a fantastic design. Great to see the variations. Wow! it's so strong and graphic - totally unique.i love its depth and it works so great in all the color possibilities you show. huge congratulations on accomplishing this, Christina - it's a hit! 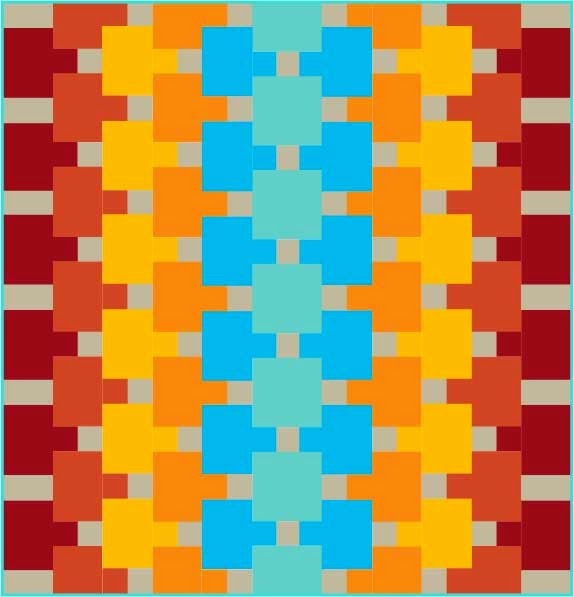 i can't wait to see all the quilts people make with this pattern. Wow - I want to go see everyone else's Magic Carpets now too! A beautiful quilt Christina! 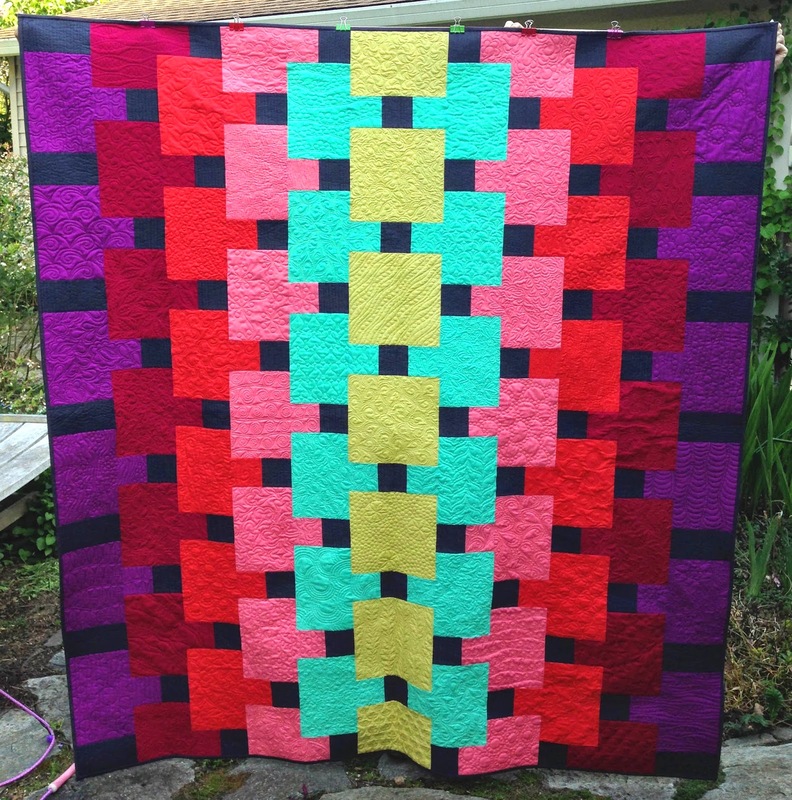 I'm very amazed that all the gorgeous quilting you did only took about 18 hours. It must be really thrilling to see in person and look at the designs in each block. Your Magic Carpet is a visual resume that is going to take you to amazing places. It's beautiful, Christina! My post will go live at 6 pm CST Tuesday - I can't wait to see the response!! Like it...ideal quilt to feature all those different designs. How beautiful! 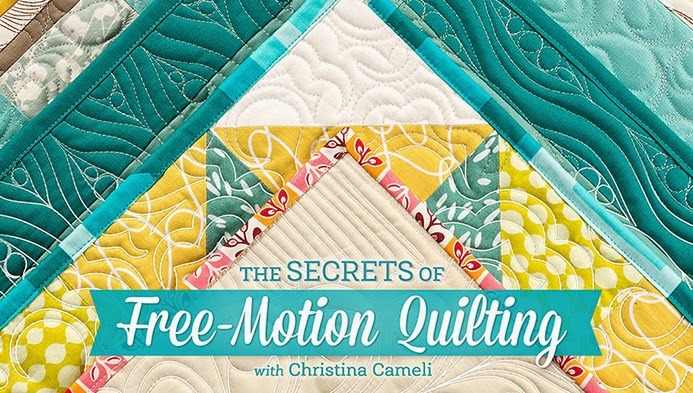 The colors, the 3D effect, the quilting! I'm a new follower and am enjoying your photos especially. Hi! Stopping by from Sarah's to say congrats on your new pattern!! I've been a happy follower of yours for while and can't wait to get your second book...it's my wish list. I'm having fun with your first book for sure! 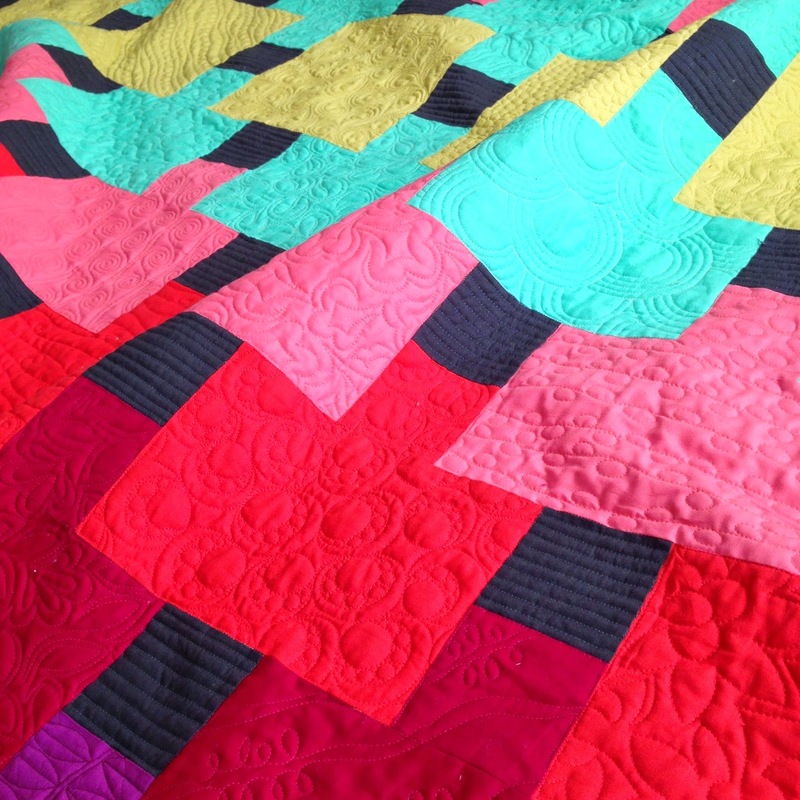 I came over from Sarah's blog because I LOVE this quilt design! It's totally right up my alley and I'd definitely make it once I get some of my other WIP's finished up. Great job as always!! Congrats on publishing the pattern! 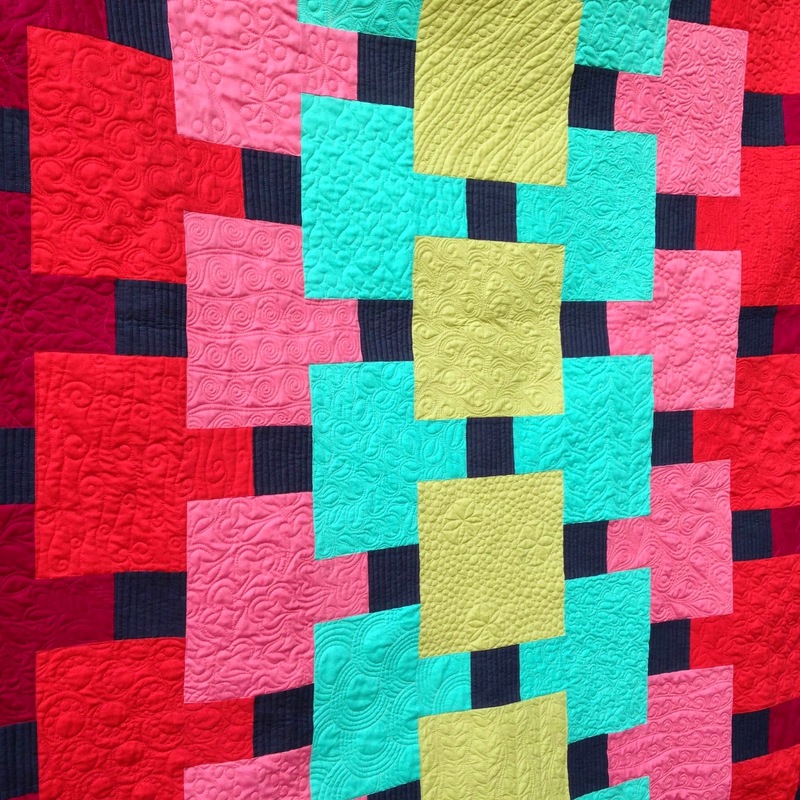 I saw this quilt featured on "In Color Order" and fell in love with it. I think I have finally found the perfect pattern to use for my Denyse Schmidts' box of 75 fat quarters. 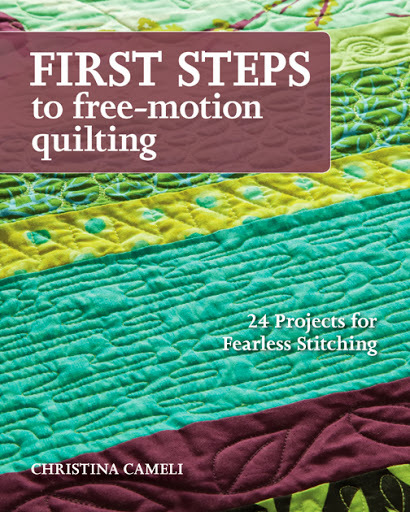 Will probably be starting this as soon as I finish my Peppermint Twist quilt top. I love this, super great job on all of them, thank you!! Magic Carpets all around, with a giveaway! 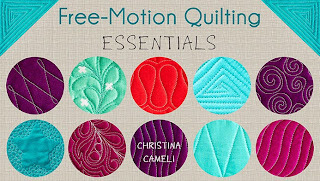 FMQ Weekly: Busy is your friend!